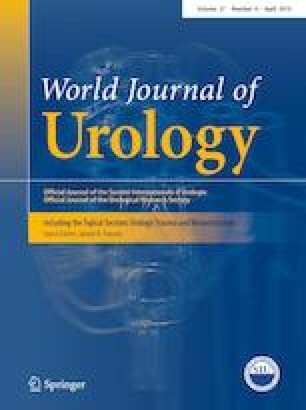 Salvage radical prostatectomy (sRP) represents a curative option for prostate cancer (PCa) biochemical recurrence (BCR) after radiation therapy (RT). In this review, we aimed to outline the contemporary results and use of sRP. A web search was performed on the Ovid platform using Embase and Medline databases from January 2010 using pre-defined search terms. Web search was implemented by manual search. Oncological and functional outcomes and complications were summarized using standard classification systems, when feasible. sRP is currently underused, being chosen for radio-recurrent PCa treatment in around 1% of the cases. Surgery is complex due to radiation-induced tissue changes making posterior planes and apex dissection particularly challenging. Patient selection is paramount to maximize the oncological benefit. Most series report a BCR-free survival > 60%, mainly at the end of a short- to intermediate-term follow-up. Five-year progression-free survival is nearly 50% and 5-year cancer-specific survival rates are around 90%. Major peri-operative complications, anastomotic leaks and strictures, still more frequent than in a primary RP setting, have been steering towards more acceptable rates in recent years, when compared to historical series. Continence rates are widely variable, often in between 39 and 60%. Potency remains difficult to recover. sRP represents a curative option with promising short- to medium-term oncological results and acceptable side effects, in high-volume institutions. In appropriately selected patients, the procedure should not be underused due to the fear of poor functional outcomes and/or complications. Prospective studies are needed to assess the long-term outcomes and to further refine patient selection criteria. GC, GM: protocol/project development, data collection or management, data analysis; manuscript writing. FS, ED: data collection or management, data analysis, manuscript writing. MO, MF, AM: manuscript writing. RJK: protocol/project development, manuscript review for important intellectual contents. PG: protocol/project development, manuscript editing, manuscript review for important intellectual contents.